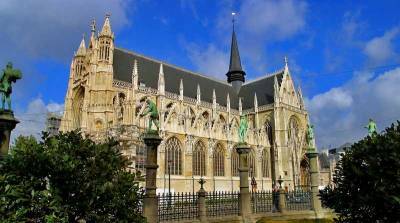 Take a short walk from the train station north to La Grand Place (Grote Mark). This is the central square of Brussels. 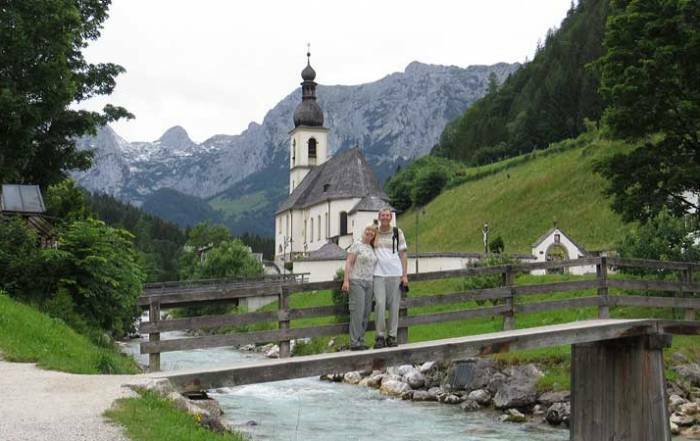 It is surrounded with Guild Halls that were important in the late 1600s. The City Museum (Bread House) is located here too. Each summer the square is transformed back to the 1500s by the Ommegang Festival and in mid August the Flower Carpet covers the square with more than half a million begonias. Manneken Pis – near the Grand Place is a small fountain statue of a boy urinating. The statue is dressed in an ever changing array of costumes. The statue is very popular with tourists. It is located two blocks southwest of the Town Hall on Rue Charles Buls/Karel Bulsstraat. Visit the shops in the Royal Galleries of Saint-Hubert. 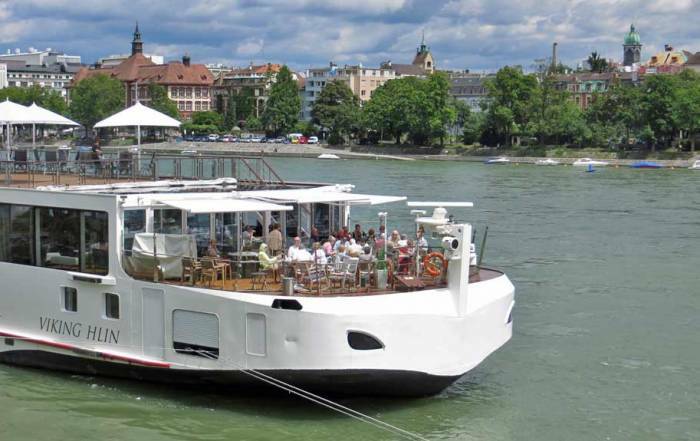 Enjoy Belgian waffles and chocolates. Walk the Rue des Bouchers (Butcher’s Street), which is lined with restaurants. 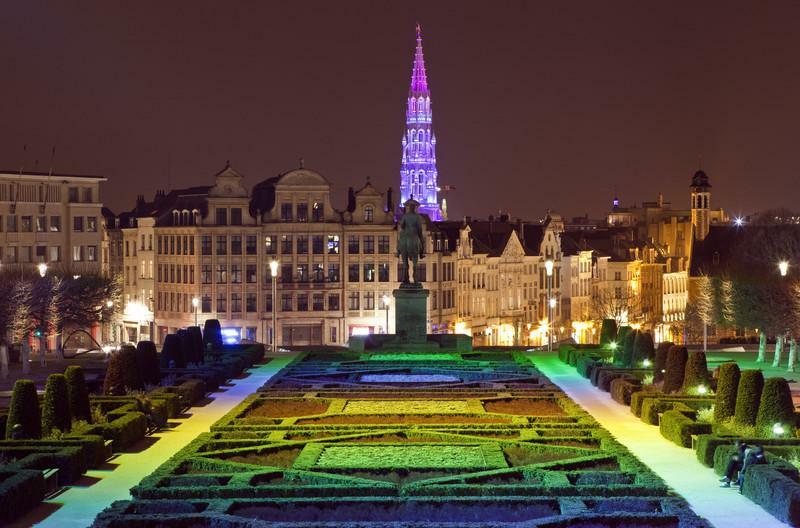 On the south side of the train station, visit Mont des Arts and enjoy views to the Old Town. 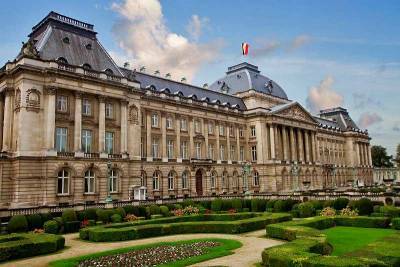 Royal Palace of Brussels – used by the King and Queen of Belgium. 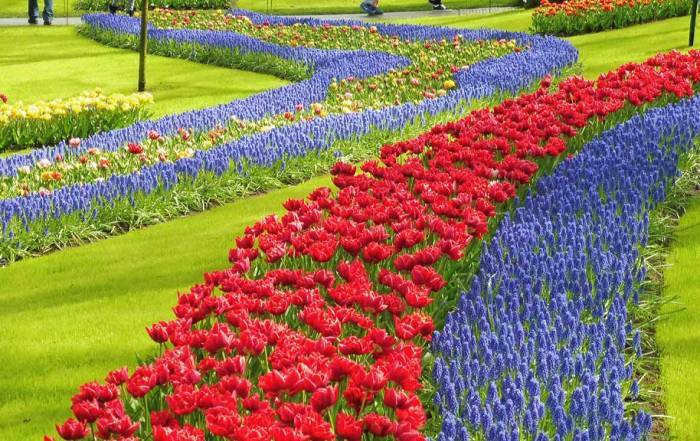 It is located at Royal Park, opposite the Belgian Parliament. At the Royal Palace, visit the Coudenberg excavations of the former palace. Walk along Rue de la Régence past the MIM (Musical Instruments Museum), the Magritte Museum and the Royal Museums of Fine Arts. The Royal Museum includes the Museum of Ancient Art and the Museum of Modern Art. See famous paintings by like the Portrait of Antoine de Bourgogne by Rogier van der Weyden and Bruegel’s Landscape with the Fall of Icarus. Continue on Rue de la Régence to Place du Grand Sablon for its antique dealers and the church of Notre Dame du Sablon. The street ends at the Palace of Justice. Most tourists get to Brussels by train from other cities. Most high speed trains arrive at the Midi-Zuid station, south of town. The Brussels train station provides connections to Amsterdam and cities in France. The Nord-Noord station, north of town, provides access to Cologne and Frankfurt. 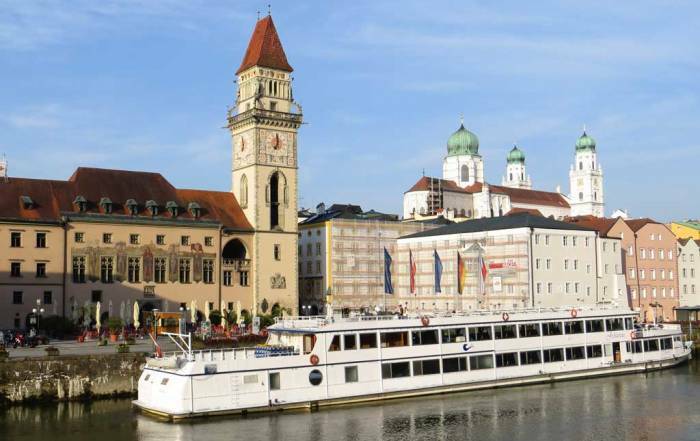 The public transit system, STIB-MIVB, is a great option with day passes and multi-trip tickets available. You can also get to Brussels by air at Brussels Airport (BRU). Rail service is frequent from the airport to the city, which provides a much better option than cabs or buses when you visit Brussels. The airport train takes just over a half hour to reach Gare Centrale, the central city train station. the Atomium, built in 1958 for Expo58 and shaped like an atom. The Atomium has panoramic views from the restaurant. Bruparck with shops, restaurants, a gigantic cinema complex and Mini-Europe. The Museums of the Far East have been closed since 2015 due to “safety reasons”, but you can still see the Chinese Pavilion and the Japanese Tower from the outside. Cinquantenaire Park – the Triumphal Arch was built in honor of the 50th anniversary of Belgian independence. 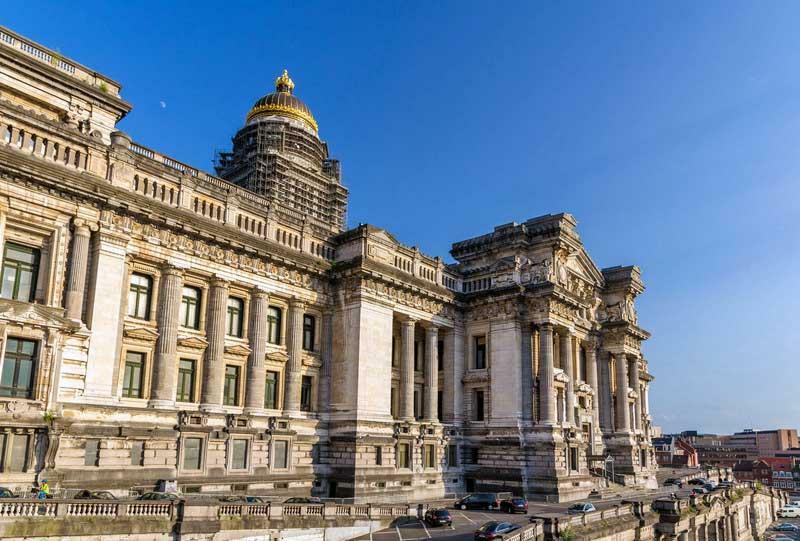 The Royal Museum of the Army and Military History (free), AutoWorld Brussels, the Art & History Museum and the Great Mosque of Brussels are located here. 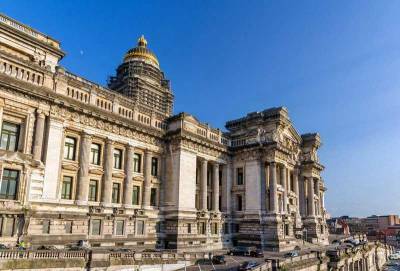 European Parliament – the site is open to visitors at the Parliamentarium. The European Commission and the Council of Ministers are also found here in the European Quarter. the Congress Column commemorating the creation of Belgium. 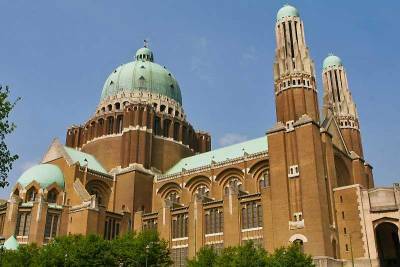 National Basilica of Sacred Heart of Koekelberg in Elisabeth Park. Mussels in Brussels – served with herbs and vegetables in a stock of butter and white wine. Try Moules-frites – mussels and fries. Belgian waffles at the Royal Galleries. Belgian chocolates. Try the Brussels Chocolate Walking Tour and Workshop. Visit Choco-Story Brussels. Belgian fries from a street vendor. Brussels Food and City Highlights Walking Tour. 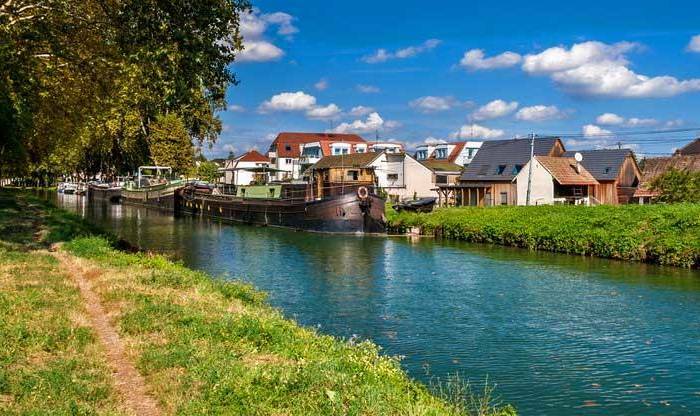 Travel less than an hour by train to Bruges. Brussels weather is a maritime climate, because Brussels is near the English Channel. Expect your Brussels weather to have overcast skies and consistent levels of rainfall throughout the year. May, early June and early September provide the best chance for good Brussels weather and lower tourist volumes. The summer months are also excellent times to visit Brussels. Expect average summer highs in July and August of 73 F (23 C) and average lows of 57 F (14 C). Winter highs from December to February average about 45 F (6 C) while lows linger just above freezing. 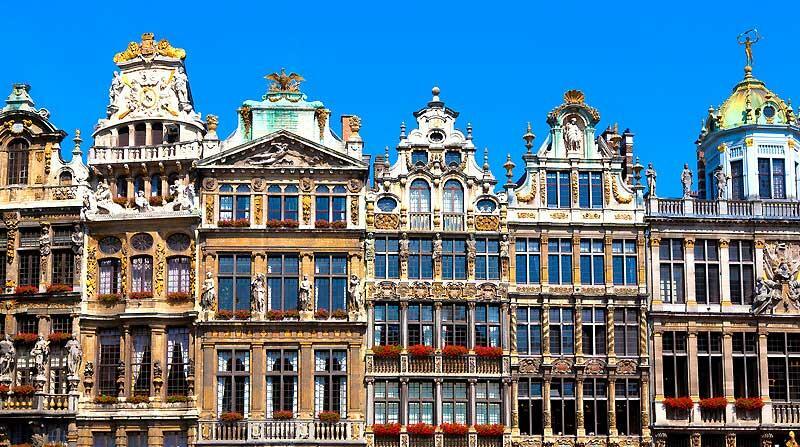 Brussels became the capital of Belgium in 1830 after the Belgian Revolution. It is also the headquarters of NATO and the effective capital of the European Union. The city is the largest in Belgium. More than a million people live there. The city walls were constructed in the mid 1300s. Many buildings were destroyed in 1695 when the forces of King Louis XIV of France attacked the city. Brussels was part of the Austrian Empire in the 1700s. Dutch and French are official languages of the city, but expect to speak French in Brussels. The French name is Bruxelles and the Dutch name is Brussel.